Tickets are on sale now for the 11th annual heART of Mt. Helix event showcasing local art, music and cuisine at Mt. Helix Park. This sunset event will be held on Saturday, Aug. 11, from 5–11 p.m., and will feature vignettes by local performing and visual artists, music on two stages, casino gaming, live art demonstrations, tastings provided by more than a dozen participating local restaurants, 360-degree views, and dancing under the stars to the music of Mighty Untouchables. Culinary tastings are included in the ticket price and will be provided this year by Anthony’s Fish Grotto, Brigantine, Cali Comfort BBQ, Casa de Pico, Dream Dinners, The Edge Mediterranean Grill, Edible Arrangements, The Hills, The Honey Baked Ham Company, Pick Up Stix, Sheldon’s Service Station, Terra American Bistro, Hooleys, Menchie’s, Posh Nosh, D’Amatos Pizza, and Mary’s Donuts. There will be a signature cocktail named “The Helix” created just for this event, as well as hand-selected wines, beers from Helix Brewing Co. and Ballast Point, cocktails with St. Petersburg Vodka from San Diego Distillery, and coffee from Brew Coffee Spot. Raffle prizes and auction items include vacation getaways, original artwork, custom jewelry, local adventures, private group dinners, tickets to local entertainment venues and more. Also, for the second year, the winners of the heART of Mt. Helix juried art contest will be on display and for sale. Proceeds from heART of Mt. Helix are used to preserve and enhance Mt. Helix Park and Amphitheater, which receives no government funding, yet is open to the public daily. Tickets are $100 for general admission and $150 for reserved table seats. Friends of the Park members enjoy discounts on general admission tickets. For event updates, or to purchase tickets, visit mthelixpark.org or call 619-741-4363. The event is expected to sell out. From nursing orphan rhino calves in South Africa to helping to preserve endangered salmon in the Pacific Northwest, the winners of the 2018 A Voice for Animals contest show they not only care about protecting animals and safeguarding their habitat, but are also willing to get involved, make a difference and educate others. The annual contest, which offers high school students ages 14-18 the opportunity to win cash prizes for essays, videos or photo essays that explore strategies to mitigate animal suffering, is sponsored by the Animal Welfare Institute (AWI) and the Humane Education Network, with additional support from the Palo Alto Humane Society. More than 400 entries were judged on presentation, originality and effectiveness of solutions to problems confronting endangered species, captive orcas, and pigs languishing in gestation crates, among other issues. 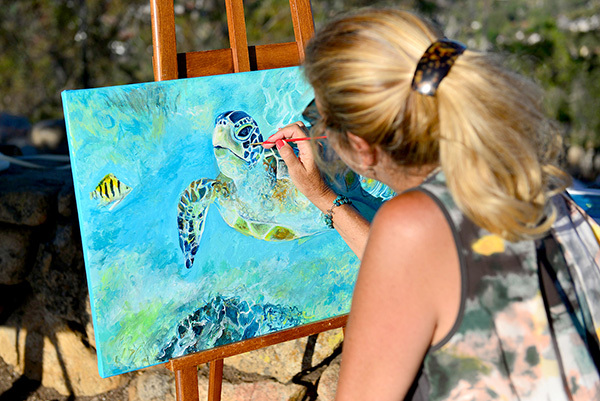 Previous contest winners have gone on to establish a sea turtle education program, a shelter for stray dogs in Mexico and an outdoor aviary for rescued birds. For more information on the A Voice for Animals contest and to review the winning entries, visit hennet.org/contest.php. On Saturday, June 30, La Mesa native, Danamarie McNicholl-Carter, was crowned Miss Washington at the Highline Performing Arts Center. 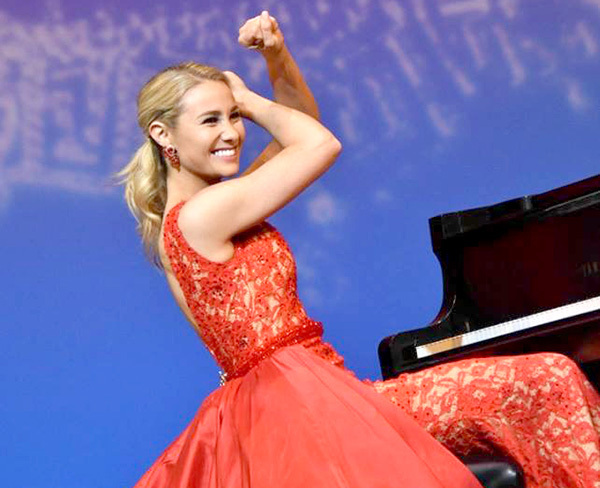 She will represent the evergreen state at the national Miss America competition on Sept. 9 in Atlantic City, New Jersey which will broadcast live on ABC. Danamarie was Miss Teen La Mesa 2010 and a graduate of the Academy of Our Lady of Peace. After high school, Danamarie attended and graduated from Gonzaga University with a degree in broadcasting and electronic media. She has most recently been working as a television news reporter in Spokane for KREM-2. To win the title, Danamarie participated in a 10-minute personal interview with the judges panel, showcased her talent by playing a rendition of “Pirates of the Caribbean” on the piano, and showed off her lifestyle and physical fitness in swimwear. Although the Miss America competition announced plans to remove the swimsuit competition on Sept. 9, the changes have not yet been implemented at the state level competitions.